Fixing credit ratings is a complex process, the client never understands the procedures involved and a lot of professionals present the problem to be very complex and charge a heavy fees for the services. 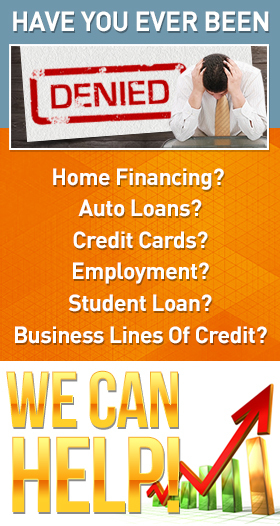 We at Fix That Credit Score are a committed organization who love to change the lives of our customers by opening oceans of opportunities by making them eligible for financial assistance. A financial assistance at the right time might change your life forever and we value it the most. In order to build trust with the clients we offer a plethora of credit rating fixing assistance plans and a client can choose any combination to get their ratings fixed. Our credit fixing charges are split into various fixing tasks, one can choose the ratings to be fixed as per their budget and requirements. When we take up a credit repair assignment we explain the whole process to the client, we gather their requirements, study their credit report and suggest various issues that can be fixed. Based on our recommendations and budget, the client can choose various steps to fix their score. Note: The Process time of each case is different and it takes Up to 45 business days for the deletions to begin to appear on the credit history. During this period we request the client not to apply for any kind of financial assistance. Important: It is moral responsibility of the client to inform us about their previous attempts to get the credit score fixed. The time taken to fix the score increases with the number of attempts and the probability of success decreases. One should always get the ratings fixed in a single attempt. When we take up a credit repair assignment we explain the whole process to the client, we gather their requirements, study their credit report and suggest various issues that can be fixed. Based on our recommendations and budget, the client can choose various steps to fix their score. You must have IdentityIQ.com Credit Monitoring Service. Note: Experian tends to take longer than Equifax and TransUnion The Process time of each case is different and it takes Up to 60 business days for the deletions to begin to appear on the credit history. During this period we request the client not to apply for any kind of financial assistance.